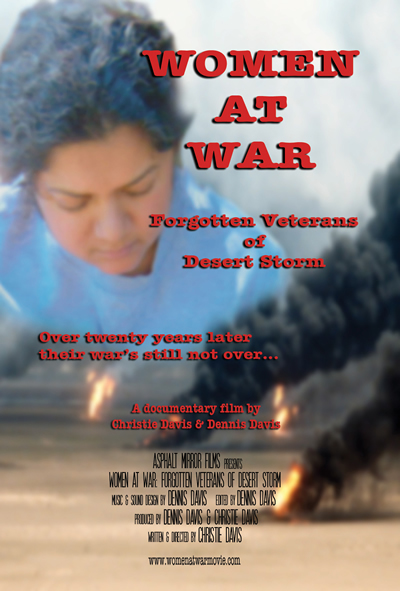 The feature documentary "Women At War: Forgotten Veterans of Desert Storm" takes an intimate look at women soldiers’ wartime experiences on the toxic battlefields of 1991's Operation Desert Storm and their heartbreaking battles with Gulf War illnesses since they've returned home. 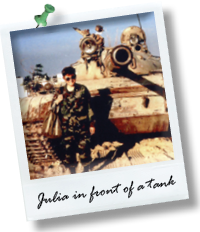 Carol Williams and three other female veterans fight the Veterans Administration for proper treatment and benefits in their search for answers to their mysterious Gulf War illnesses. Experiences of homelessness, suicidal despair and loss of their female reproductive functions due to the war haunt them. These women experience the outrage of betrayal when they discover the VA isn't there for female Gulf War veterans when they come home. They wonder why they’ve been abandoned by the government they risked their lives to serve. Over twenty years later, their war isn’t over. Ten years in the making, this film is told through veterans’ interviews, never-before-seen archival footage and present day vérité scenes. “Women At War” weaves a story of empowerment as these women veterans become activists in Washington, DC, fighting for veterans’ funding. 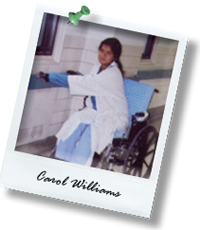 Many are physically disabled by their “invisible” illnesses. Despite their physical damage, they enter research trials at Georgetown University and lay their bodies on the line during vigorous Gulf War illness testing at the Miami, Florida VA. These female veterans discover healing when they offer up their experiences to help other veterans.